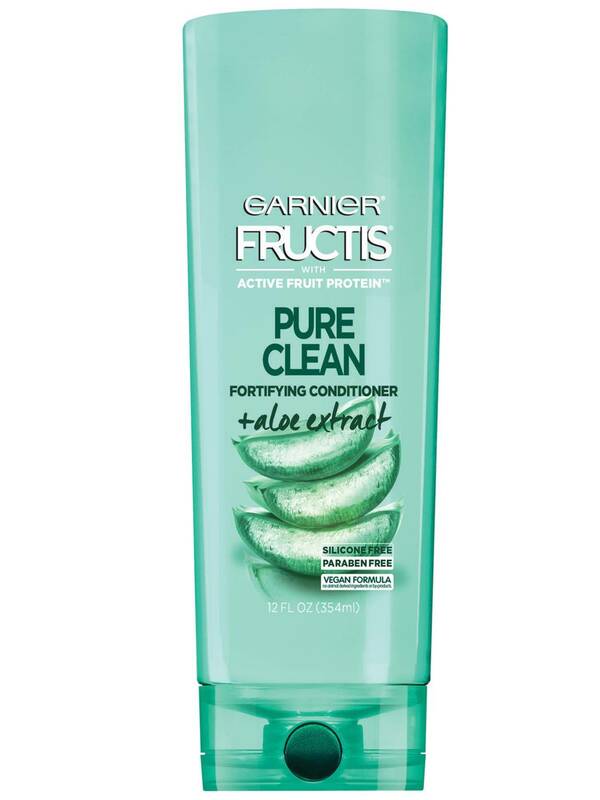 Garnier Fructis Pure Clean Conditioner: paraben & silicone-free formula with Aloe Extract & Vitamin E cleans your hair with the goodness your hair wants for beautiful, healthier hair at every wash.
Everything you need to complete your Pure Clean hair care routine. Rated 5 out of 5 by curlygirl223 from Great and affordable! I bought this after trying two other silicone-free conditioners. The ones I bought previously were like water and was pricier than this one. I tried this afterward and was surprised that the results! My hair doesn't feel weighed down, easy to tangle, and can't beat for the price! Rated 5 out of 5 by Maria1085 from Love it Just started using this a few days ago and I love it! 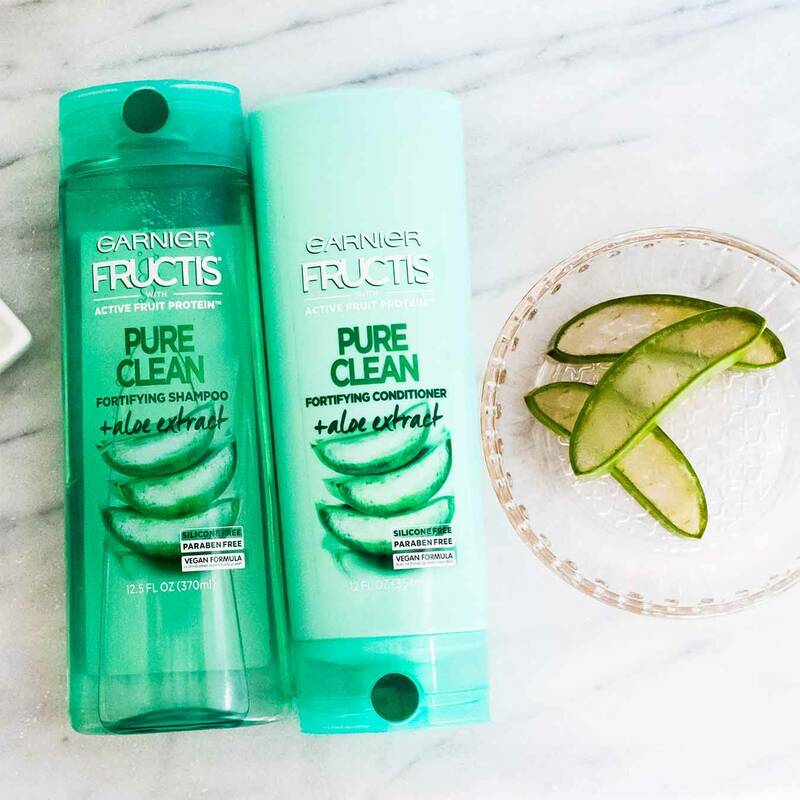 Most shampoos and conditioners eventually leave my hair dried out, but not this one! My hair is so soft and moisturized and I love that it’s free of harsh chemicals. Will definitely keep buying! Rated 2 out of 5 by mlmoline5 from It's Okay! I used the old formula and absolutely love it! It was wonderful for my thin, curly hair. The new formula seems to weigh it down. The shampoo is great but the new formula conditioner is aweful. It feels like I'm putting something waxy and sticky in my hair. In order to make it work.. I have to wash my hair with the shampoo again. im making it work, but I won't be buying it again. Please bring back the old formulation. Rated 3 out of 5 by Shelly22 from Please bring back the old formula I have been using Garnier Pure clean and only Pure Clean shampoo and conditioner for many years along with my family. We all have curly hair. This was my staple hair care product. I would buy two and three sets at a time or at least two of the larger size. My hair was as it said longer stronger and healthier. Please put back the Acerola berry extract. I looked at the old ingredients and the Acerola berry extract has been replaced with the Citrus fruit. My hair had developed it own shine and now I'm trying more products than ever to do what Pure Clean did consistently. The Acerola Berry Extract is noticeably missed. I was recommending this to all of the curly girls and was being constantly asked what I was using on my hair and I specified the Pure Clean formula and now I don't know if I should or not. I'm trying to like the new, but the old was soooo great! Rated 1 out of 5 by kay marie from EHH I have always loved Garnier products. Unfortunately, this product did not meet my expectations. 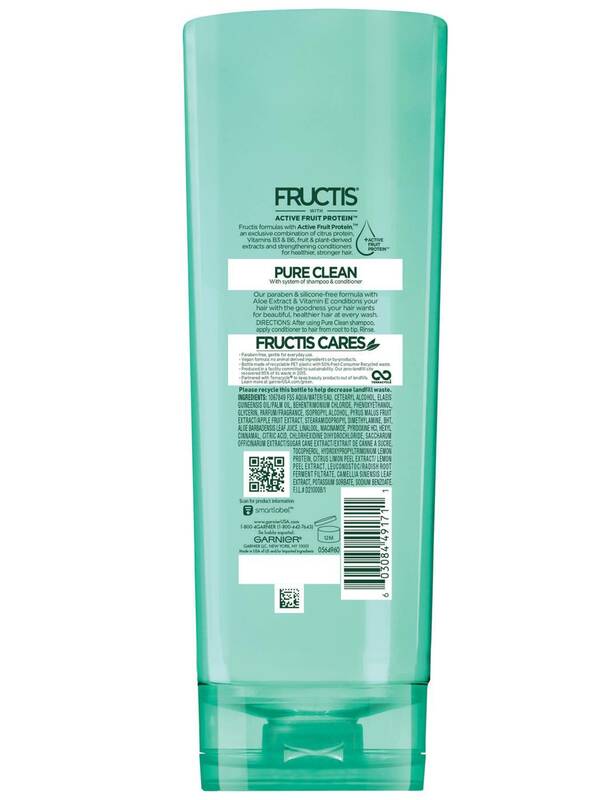 I used this conditioner with the Pure Clean Shampoo. Both products left my hair dry, frizzy, and dull. I use a good amount of conditioner because my hair does get a little knotty. But this product did not help at all. I had to use a detangler and a leave in conditioner from another company after i used this product.